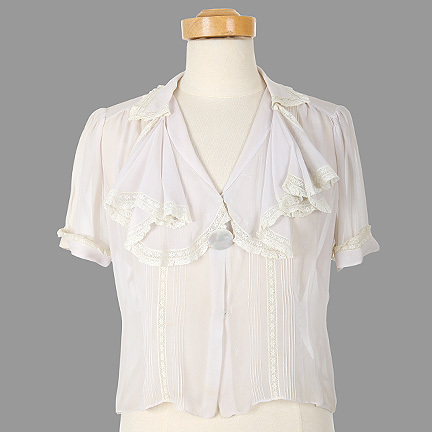 This shirt was worn by the character “Penny Lane” portrayed by actress Kate Hudson in the Academy Award winning film “Almost Famous”, also starring Patrick Fugit and Billy Crudup. 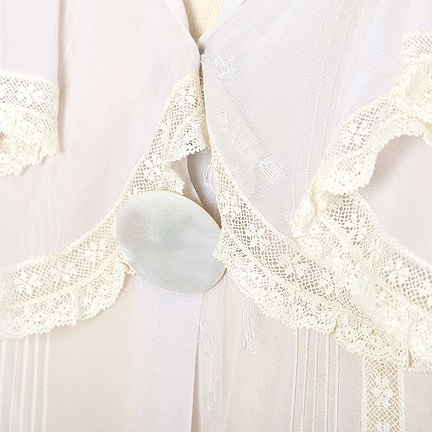 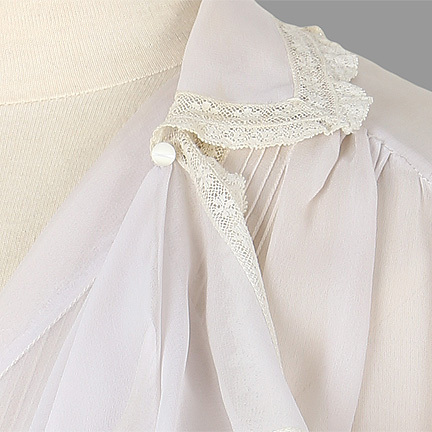 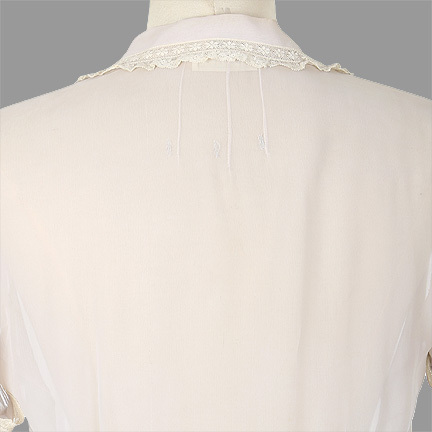 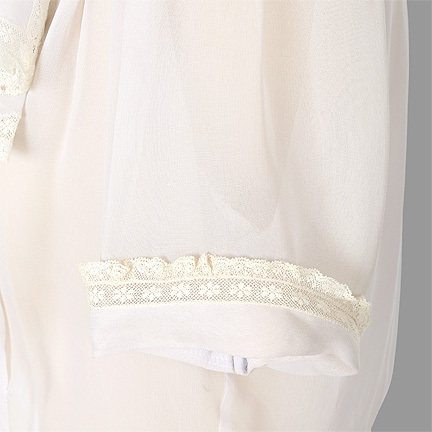 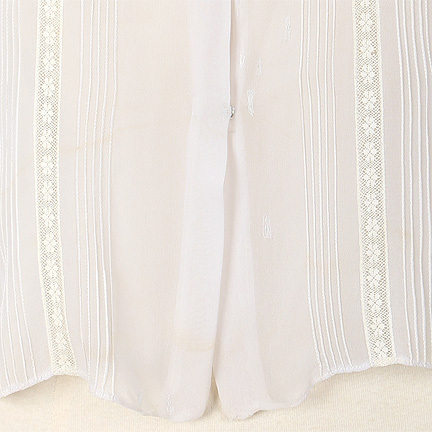 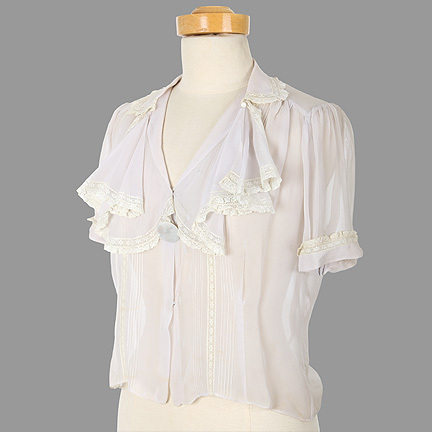 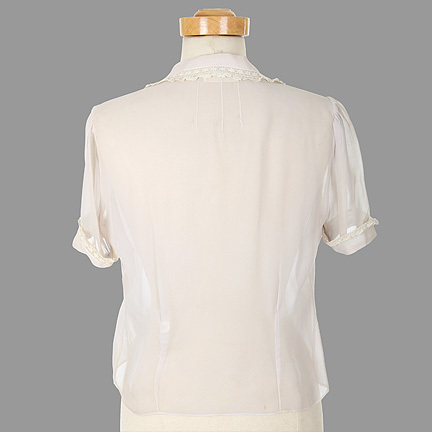 The original 1960’s shirt is constructed out of a sheer pale lavender material with a ruffle flounce neckline and white lace trim. 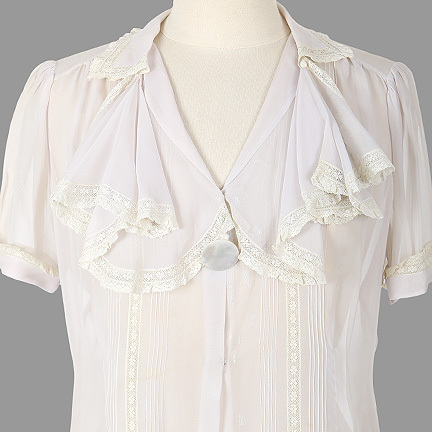 Ms. Hudson is first seen in this shirt when she learns from “William” (Patrick Fugit) that Russell sold “The Band-Aids” and Penny Lane to another band for fifty dollars and a Heineken.